Windows 10, which previous name is Threshold, Redstone, is a personal computer operating system created by Microsoft. Its release time is July 29, 2015. It is the pioneer receives ongoing feature updates. Under business circumstance, it can receive slower or critical updates, such as safety patches. Microsoft aimed to enable win 10 has no less than one billion users in the following two or three years after its release. By August 2016, Windows 10 usage was increasing. In 2018, it became more popular than Windows 7, despite 7 still have more users in Asia and Africa. In November 2017, Windows 10 operating system has attracted 600 million devices and has an estimated usage share of 32% on traditional PCs and 15% arcoss all platforms. In installation process, win 10 has the same requirement as win 8.1 and win 8, and only a little bit higher standard than win 7. The 64 bits version requires a CPU that supports certain instruction. Equipment with low storage capacity must provide a USB flash drive or SD card. Twenty-four hours after its release, authority said there were 14 million win 10 users. On August 26th, the number increased to 75 million. By October 6th, 2015, there were more than 110 million users. In middle of January 2018, Windows 10 has a little bit higher share in global market than Windows 7. In Asia and Africa, Windows 10 is still far behind but get ahead of its peers in some other regions such as Oceania. a). 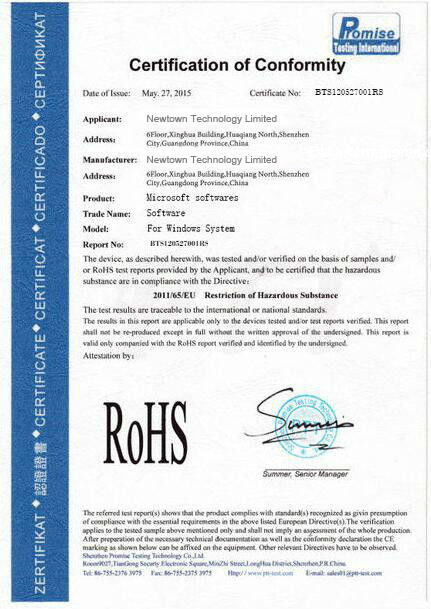 1 year stock warranty was given to give clients sense of security. b). Lifetime legal using after being activated, thus our clients has no need to worry about system will break down going forward. c). Support online activated and telephone activation. d). 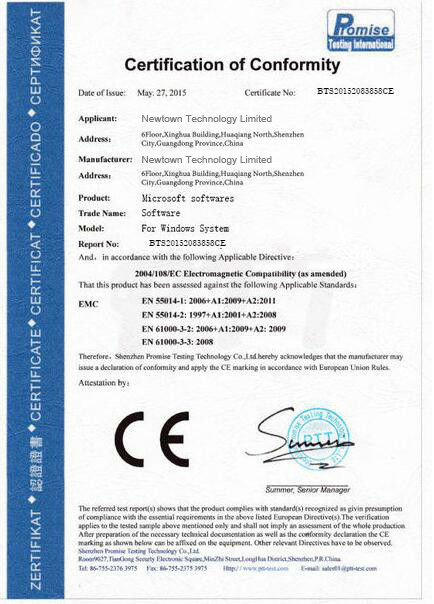 Can make custom-clearing paper according to clients’ requirement. 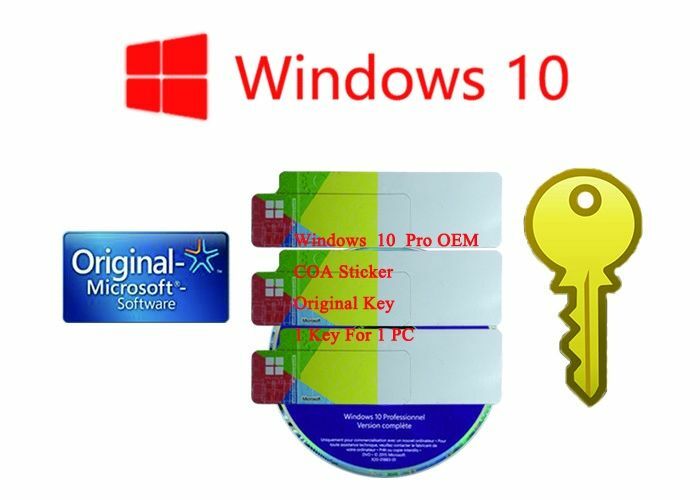 Q: Does the first key can be reused on same PC after formatting and changing the system? A: After formatting, the same key can be reused on same computer directly. If fail, can try activate by telephone. Q: Which version does your keys activate? A: Any version of Windows. You can use our keys to actived the lasted version. Q: Can you make clearing custom paper for us? A: Yes, can make them according to our clients’ requirement.